The youth of Maysan province fall asleep in the hope of finding suitable jobs for them in the refinery of their province. But they are shocked when they see the site of the refinery is only an arid desert. Most rural dwellers in southern provinces suffer from "extreme poverty". Some families live on less than $ 1.25 a day. In a video on YouTube, former Prime Minister Nuri al-Maliki stands with three Iraqi flags behind him. On his right is Hussein al-Shahristani, then deputy prime minister for energy, and Yemin the latter. Shafiq Thabet, the Lebanese investor, . "We are signing on the first investment project by the private sector ... to congratulate the Ministry of Oil and the company headed by Mr. Shafiq, we hope success and appeal to them and to contract them to facilitate their task in building this refinery and to fast them and shorten time Also, thank you very much. " This scene has gone on for more than eight years. The situation remains the same. The Maysan provincial council is unhappy and desperate that the company does not complete the refinery and describes its steps as "slow". "We did not seek work on the ground, just signing memorandums of understanding, the steps of the company are very slow," said Yasser Naama, a member of the provincial council. With regard to the company's slow and slow, he threw blessing, the ball in the court of the Ministry of Oil, because the subject related to the ministry as a ministerial investment projects, repeating "our assessment of the reality of the company is a fake opportunity." "Chinese companies have always been on the investment line because they are the only ones operating in the Iraqi environment," he said. "We asked a number of questions that raise the doubts of the local government to the Oil Ministry at the meeting of the Council of Ministers held on the demands of the demonstrators, but we did not receive any answer," said a member of the provincial council. Since the third month this year. " He stressed that the province of Maysan needs the refinery to cover the needs and needs of the neighboring provinces. The Ministry of Oil, three years after signing the contract with the company invested, discovered the inability of the latter to complete the work in the refinery. "We signed a contract in 2015 to establish an investment refinery in Amara with a capacity of 150,000 barrels per day, but during that period the company did not start working despite our ongoing negotiations with the contractor," Oil Minister Jabbar al-Luaibi said in a statement. 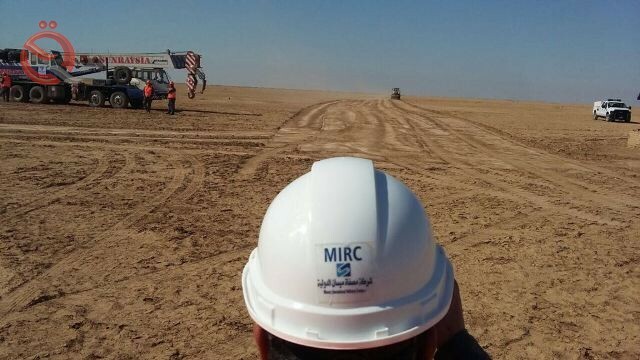 Spokesman for the ministry, Assem Jihad, said only that "the Ministry of Oil warned the company directly within a month, and the company responded to it." He did not specify when the warning was made for lack of sufficient information. A report by the British business daily Arak Business News revealed a "scandal" involving a contract with the Swiss oil company Starim at the $ 6.5 billion Maysan refinery, It has legal issues still in court. "The Iraqi Oil Ministry announced that it has committed Maysan International Refineries (in fact the bankrupt Swiss company Stearm) to sign a commitment to start work on the refinery Maysan within 30 days or else the contract will be terminated without the Ministry has any legal and financial results." Maysan refinery, which has a production capacity of 150 thousand barrels per day, it is hoped to provide 3000 jobs for the people of the province, but they have to wait long.